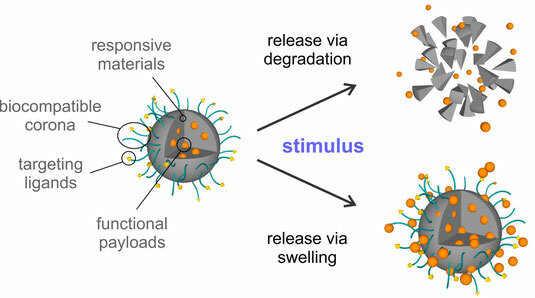 Polymeric nanoparticles and nanogels are potential carriers for the loading and release of functional compounds and represent a highly versatile concept that is experiencing a growing interest in the biomedical field. 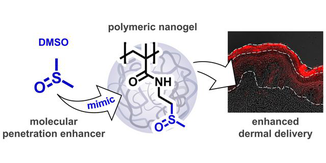 Here, combining so called “smart” stimuli-responsive polymeric nano-structures with pharmaceutically active substances is being more and more exploited for the targeted delivery of drugs and is believed to be one of the key approaches for future therapeutics. Therefore, developing new efficient materials in this area represents a highly desirable, but also rather complex task. It requires the effective combination of different methodologies and techniques from across a multitude of disciplines. 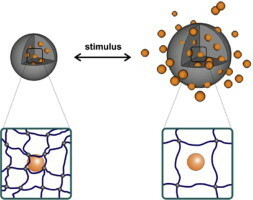 Consequently, a successful design of (stimuli-responsive) drug delivery systems allows tuning release profiles via the adjustment of the molecular building blocks and the resulting polymeric nano-structure. In addition, the capability to predict and optimize its specific interaction with intricate biological systems has to be ensured. In the Klinger Lab, we approach all these challenges in a systematic way: At first, we focus on translating a (molecular) understanding of targeted biological processes to the design of synthetic response mechanisms. This can include the identification of a certain biological trigger and the development of a chemical transformation/reaction that allows using this trigger for the release of a specific compound. Second, we impart these response mechanisms into macromolecular building blocks that can ultimately be used to build up functional nanocarriers as new therapeutic agents. In a contrary approach, we work on the development of modular nanoparticles that can easily be modified to give a selection of carriers with distinct structural characteristics. Such a collection will allow screening of structure-property relationships in a systemic way. 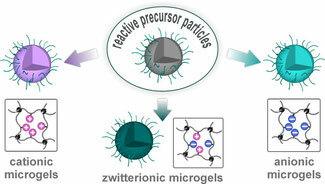 Ultimately, this will enable a deeper understanding of the interactions with the targeted biological systems.